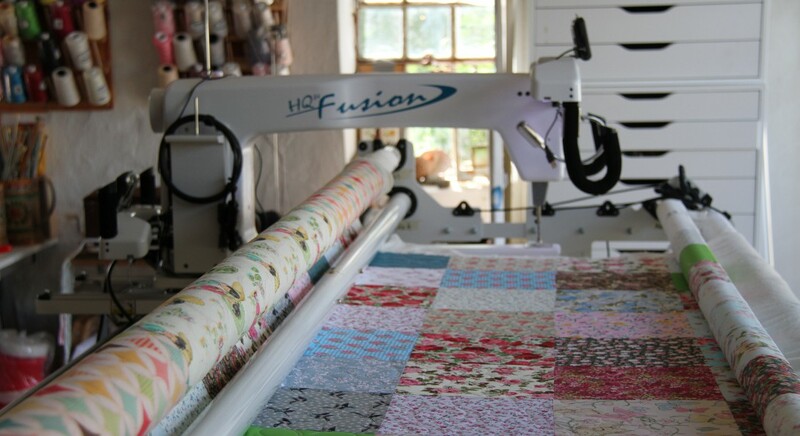 Tove started this quilt many years ago with fabric she bought on holiday. Tove is not a quilter and just had fun cutting up the fabric and stitching it all together. She added a blue border and black binding to cool down the bright yellow and a super gingham backing so it can be used either way at a picnic or on a table as a table cloth. I quilted it using yellow thread with a big feather meander. A great quilt with lots of memories for Tove.